Clear the deepest snow with hardly any effort. 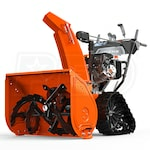 A track driven snow blower does all the work for you. 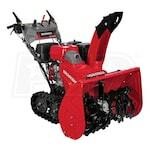 Below are our best-selling, top-rated and expert-recommended track-driven snow blowers. See what other shoppers and our resident expert would go with, and find your best solution. Want to learn more? 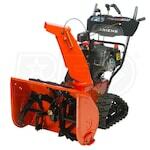 Read our Track-Drive Snowblower Guide first. Best Track-Driven Snowblowers.. Our Power Equipment Direct how-to library can help you learn about Top-Rated & Best-Selling Three-Stage Snowblowers, Farmers Almanac Winter Weather Predictions and Proposition 65 Product Labeling.